A few months ago, I was talking to a friend and recommending sewing to her as a hobby. Every chance I get, I do my best to spread the word like some kind of sewing prophet because I love it so much. It had gone horribly wrong, with L sewing her finger to the quillow and breaking her mom’s sewing machine. She’d also left some of the pins inside, and it was “less than comfortable” in her own words. This conversation took place over Facebook, and even though I was alone with an iPad – I was laughing out loud. Experiences such as this one deter many people from wanting to ever sew again. This is certainly understandable, as I too was afraid and absolutely convinced I could never become halfway decent at it. During my childhood I did some hand sewing, but when I tried to use my mother’s sewing machine it was very finicky and the thread jammed up – causing a huge mess. Never went near that machine again. Fast forward twenty years, and I can personally attest to a complete turnaround. At least a couple times a week, someone approaches me to say how much they like seeing my sewing and quilting projects on the blog. Usually they also comment on their mother/grandmother being a wonderful seamstress. But when I inquire to them about giving it a try, the idea is immediately shut down with excuses such as a crappy sewing machine or not being talented in this area. If that is you – do not be hindered by those obstacles that can be overcome. With some practice, anyone can be a great sewist. I was in the same boat two years ago, in awe of a college friend who made clothes and cloth diapers for her children. In fact, I even bought handmade dresses and monogrammed baby blankets from her to give as gifts. The topic came up yet again when my friend Amy, who I’ve known since elementary school, told me she was really interested in sewing. She had seen lots of modern quilts all over the internet, and had talked with her husband about making their own clothes. While trying to give Amy advice on starting out, I came to a stumbling block in the road – particularly when we were discussing sewing machines. It’s very difficult to understand what type of sewing machine fits your needs if you’ve never sewn before, but it’s important to have a good machine to learn and enjoy it. One thing about the sewing and quilting community that I love is how welcoming everyone is, and how much encouragement and knowledge they’re willing to share. 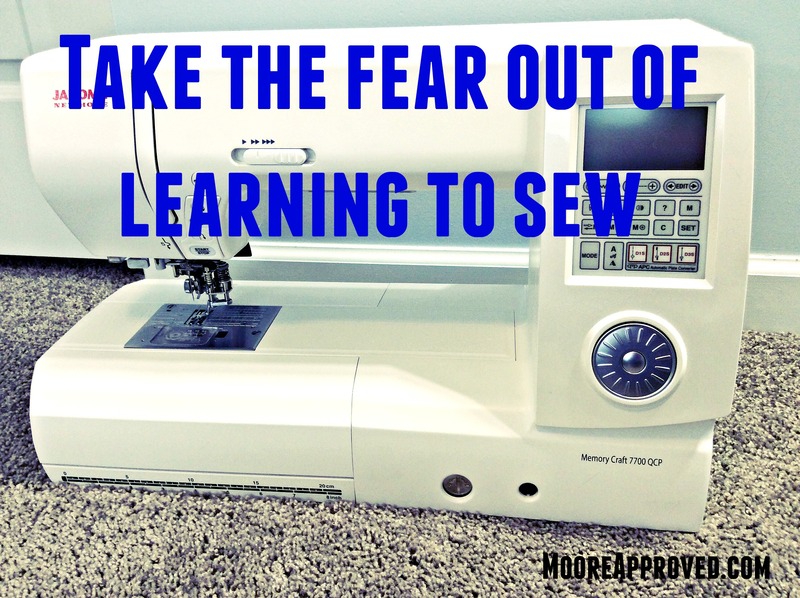 I decided to reach out via Instagram to get outside advice on taking the fear out of sewing. Of course, the response was terrific. Several ladies seemed to be in agreement to purchase a sewing machine that is feature-rich (somewhere between $150 to $400), so that it will behave enough for you to learn. Angelina McKenna (@weenchaweena), organizer of the official #bitchesgetstitchesswap on Instagram, started out on a $150 Brother CS6000i before recently upgrading to another sewing machine. Experienced sewists also recommend learning with a friend, and finding and spending time with people like them who can answer questions and share their vast knowledge. Diana Ray (@rayssewcrafty) started out on a $400 machine she purchased from her local quilt shop. Ray is so passionate about sewing and quilting, she now works as a Social Media Coordinator for Eleanor Burns of Quilt in a Day. Elsa Hart (@elsabean), 2015 president of the Portland Modern Quilt Guild, has been sewing since age eight. Her father took her shopping for a dress pattern and fabric, showed her how to pin and cut out the fabric, and taught her how to use a sewing machine. Then off she went! Elle Harris (@LauraLovesPugs) says you should “start small.” Instead of aiming for a hard project, focus on something quick that can be completed in a few hours. “Having something finished really boosts that confidence,” she states. Harris also advises those new to sewing to get on Instagram, add and follow sewing and quilting blogs, and start making friends. Thanks to all of the amazing women who added their wonderful input to this post. If you’re considering sewing as a hobby – feel free to ask any questions you may have in the comments. I will do my best to answer them. For all of you who already sew, please share this post with all of your family members and friends who are missing out and tag #MooreApproved !